Good news for Atlantic City casinos. The big land-based casino expansion in New York State that had many casino operators in New Jersey concerned might not be a big deal after all. According to a recent poll conducted of New Jersey gamblers, about 12 percent say they would move their gambling entertainment to one of the four new casinos being constructed in New York State. The same poll finds that 57 percent would stick to their favorite Atlantic City properties, and that has casino operators pretty ecstatic. Even with that optimism, there might be a little cause for concern. 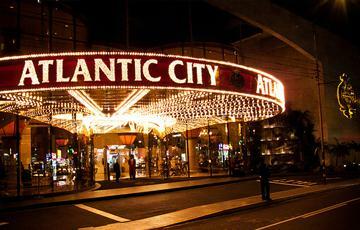 In 2006, Atlantic City casino revenue hit an all-time high of $5.2 billion. In 2013, that number dropped to just $2.86 billion. That’s due in large part to competition across the border in Pennsylvania, which has become the second casino gambling market in the United States behind Nevada. Other properties being erected in New York and Maryland, including Native American casinos, have hurt Atlantic City, especially when the newer resort-style properties are more appealing than what you’d find in New Jersey. What’s more, the poll was conducted of New Jersey residents. The poll didn’t ask New York residents whether they’d stay in their state over traveling to New Jersey. We’re willing to bet many would. But New Jersey does have regulated Internet gambling. And with sites run by the land-based casinos themselves, there’s a great opportunity for the Atlantic City properties to bring online players into the live casino world, get them excited about everything happening near the boardwalk, and increase land-based revenue along the way.